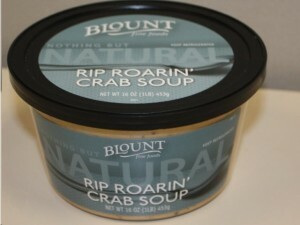 Massachusetts-based food company Blount Fine Foods announced on January 11, a recall on its Rip Roar’N Crab Soup product. The product is being recalled for mislabeling, specifically for not indicating some food allergens on the product’s ingredients label. The recalled crab soup is said to contain undeclared wheat, crab and milk allergens. These foods, in any form, can trigger allergy attacks in people who are hypersensitive to them. The recall was initiated when it was found that the crab soup’s back label described the product incorrectly as Manhattan Clam Chowder. The ingredient portion of the label also does not indicate the presence of the allergens. The recalled crab soup was distributed to a few Whole Foods stores on the East Coast. The company emphasizes that only one date code is affected by the recall and that other products of the company are not affected. To date, no allergy attacks have been reported that are related to the recalled crab soup. Consumers who were able to buy the affected product are advised to either throw it out or return it to the store where they bought it. They may also call Blount Fine Foods at its hotline, 1-800-274-2526. The hotline is open from Monday to Friday, 8 AM to 5 PM Eastern Standard Time. Consumers may also visit the company’s website, www.blountfinefoods.com.